The international exercise INIOHOS 11, which was attended by the Italian Air Force with three Tornados, is coming to an end today, Thursday 2019 April, Interdiction Strike (IDS), three Tornados Electonic Combat Reconnaissance (ECR), six F-35 and about 200 among pilots, navigators, technical and logistic personnel. The "INIOHOS", born in the eighties and from the 2005 held annually at the Andravida airbase, has seen the number of participating nations increase considerably to host this year the air assets of Israel, the United Arab Emirates and the United States. America, together with the Italian and Greek ones. Italian aircraft carried out 145 sorties for a total of approximately 250 hours of training flight. In particular, the crews of the 6 ° and the 32 ° Stormo operated in a complex and highly realistic training scenario, with very high operational return. 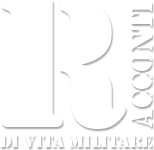 The Italian pilots have conducted "COMposite Air Operations" (COMAO) missions that provide a varied range of training activities such as Suppression of Enemy Air Defense (SEAD) Time sensitive Targeting (TST) Close Air Support (CAS), Defensive Counter Air (DCA) e Offensive Counter Air (GOOSE). In addition, the activity was of particular educational importance Air To Surface Integration (ATOSI) which saw the joint use of the 3 ^, 4 ^ and 5 ^ generation aircraft, to refine the integration of the systems, using inert armament in areas of Polygon specially prepared for the training activity. During the exercise, the commander of the air team, general of aerial team Fernando Giancotti, representing the head of SMA, visited the Italian contingent commanded by Lieutenant Colonel Giovanni Lodato on the occasion of the Distiguished Visitors Day, together with the military attaché at the Embassy of Italy in Greece, Colonel Enrico Frasson. The authorities were received by the Greek Defense Minister Evangelos Apostolakis and by all the heads of the Greek armed forces. On that occasion, the gen. Giancotti pointed out that "Iniohos training opportunities are excellent. The varied multinational context guarantees us a very high level of professional and human return. The comparison with the participating countries not only improves the collaboration and promotes the exchange of experience, but allows the concrete integration of professionalism and weapon systems to cooperate fully in complex scenarios nowadays more and more frequent. Furthermore, we had the opportunity to use fifth generation assets in an international exercise, concretely promoting the interoperability between Tornado and F-35 and their integration with the air assets of the other participating countries. "